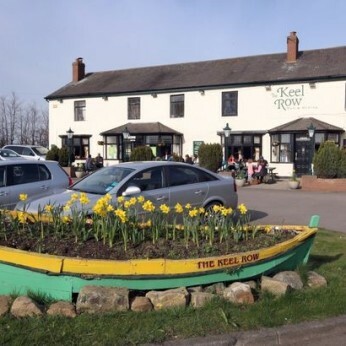 The award winning Keel Row in Seaton Delaval is situated just 10 miles from Newcastle City Centre, 12 miles from Newcastle International Airport and within easy reach of Ashington, Bedlington, Blyth, Cramlington, Morpeth, Sheilds, Gateshead and Ponteland. The Keel Row offers a wide choice of beer, wines, spirits and non-alcoholic beverages. We have a newly refurbished 72 seat conservatory restaurant which offers a full a la carte menu with dishes from around the world and is renowned for its home cooked food. Make that special occasion extra special with our famous Steak On The Stone experience. Cook your own premium fillet steak on a hot granite stone, to your own liking. We also have a 50-seat function room that can be used for weddings, conferences, christenings and private parties. We have a large patio area to the front of the public house and a beer garden to the rear.